This volume has emphasis on the ‘middle game’ looking at ideas and concepts based around Pawn Structure, Bishop Pair, King’s Pawn Cover and many more elements. The opening is also considered on the lead in to the resulting middle games. 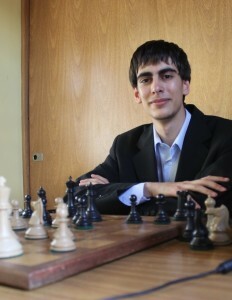 Many methods and concepts are considered including: Using the extra space in the French Advance Variation, Advantages of playing The French Advance Variation, Keep the Pawn Chain solid, The Bd3 Gambit explained, Gaining Activity against Black’s Center is useful for White, Fixed Central Pawns become easy targets for attack, Third Rank Attack from Rooks can be lethal contributions to the attack, Outside Passed Pawns enable easy victories and many more, in what is a brilliant approach to learning the core essentials for Club players up to Candidate Masters succinctly guided by Grandmaster Damian Lemos one of the World Leaders in Chess instruction. 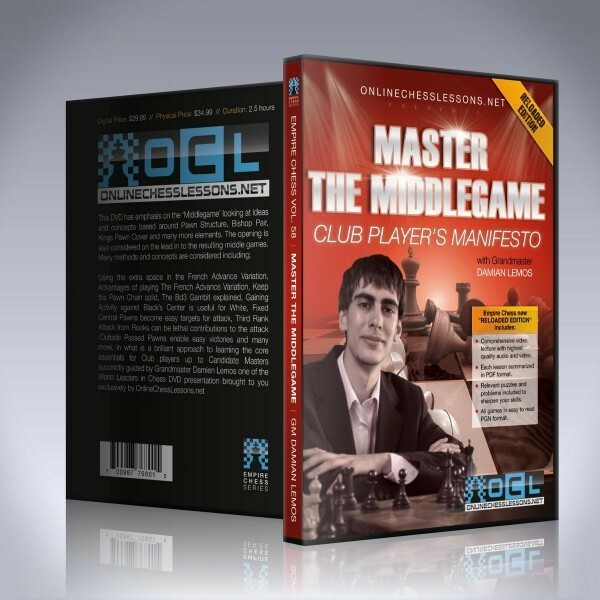 Grandmaster Damian Lemos’ excellent presentation skill guides you through this volume which is 8/10 of The Club Player’s Manifesto. Using the extra space in the French Advance Variation, Advantages of playing The French Advance Variation, Keep the Pawn Chain solid, The Bd3 Gambit explained, Gaining Activity against Black’s Center is useful for White, Fixed Central Pawns become easy targets for attack, Third Rank Attack from Rooks can be lethal contributions to the attack, Outside Passed Pawns enable easy victories and many more, in what is a brilliant approach to learning the core essentials for Club players up to Candidate Masters succinctly guided by Grandmaster Damian Lemos one of the World Leaders in Chess instruction.